All of our furniture and spaces are practical in functionality yet created to evoke an emotional response in the consumer. 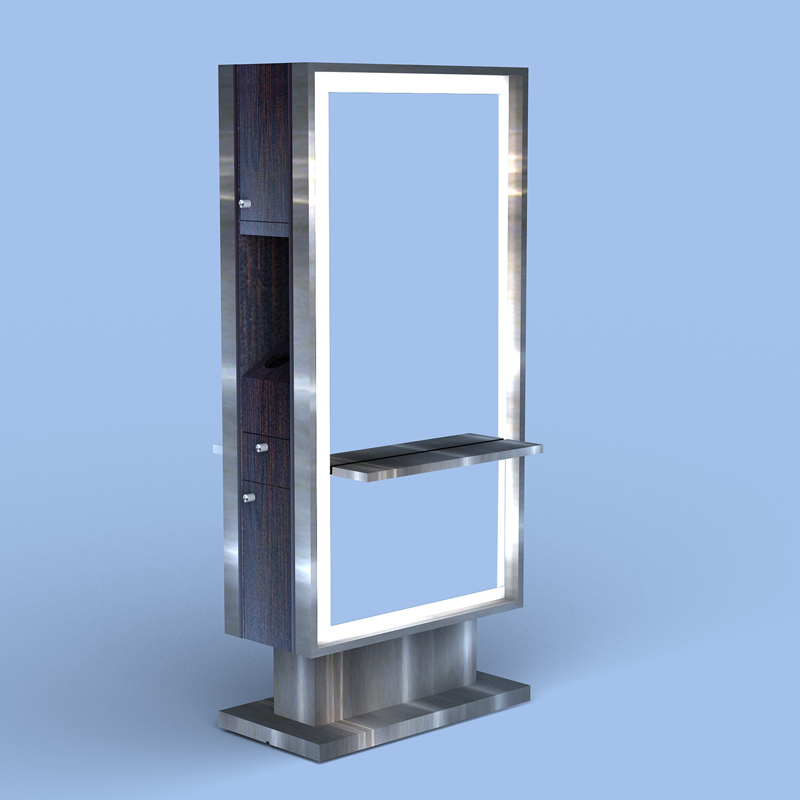 This intelligent design approach delivers revenue-generating furniture for your salon or spa business. 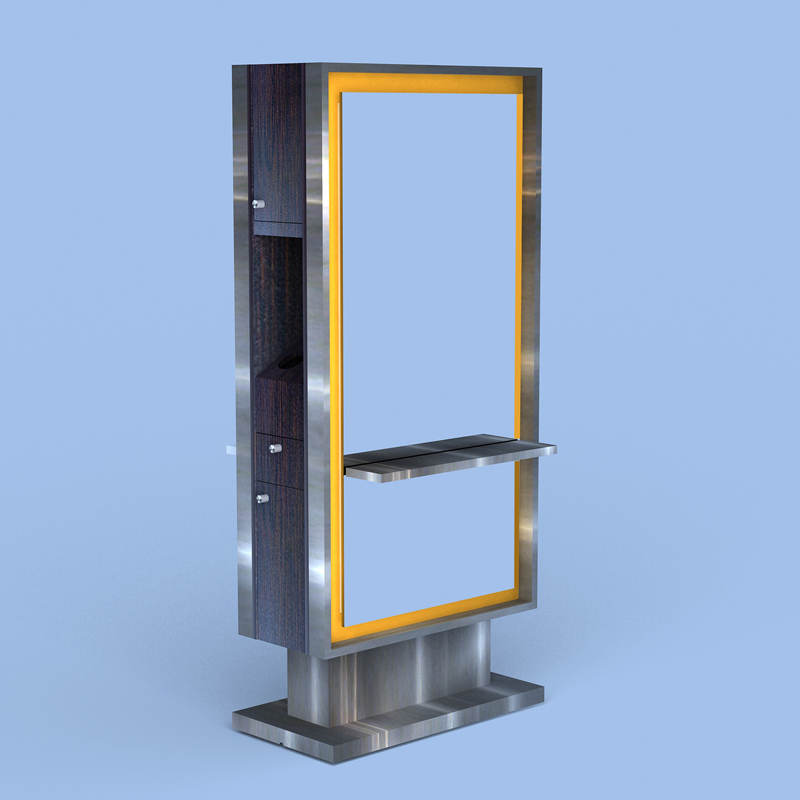 Category: Styling Stations.Tags: Hair Salon furniture, Salon Equipment, Salon Furniture, Salon Styling Station. 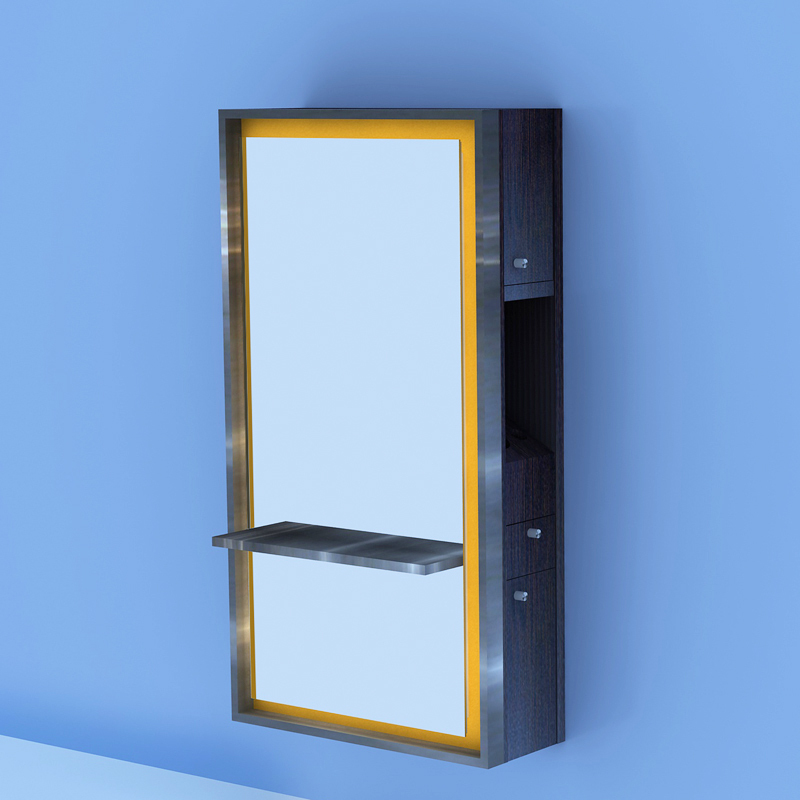 Our new Grand Central Styling Station is our illuminated mirror surrounded with LED and Stainless Steel, Lacquered or Laminate frame finish. Available in Double sided or Wall Hung with upgrade options of Stainless Shelf and Courtesy Circle. Plenty space in the side storage area with drawers for tools and holders dryers and irons.